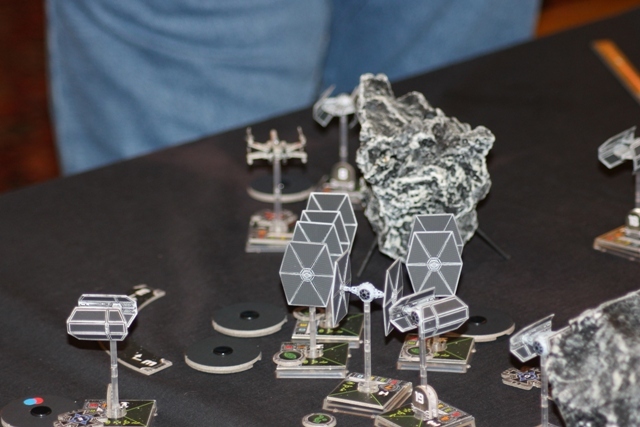 Last Sunday we had a large scale X-Wing Game with 8 players and using out combine models. 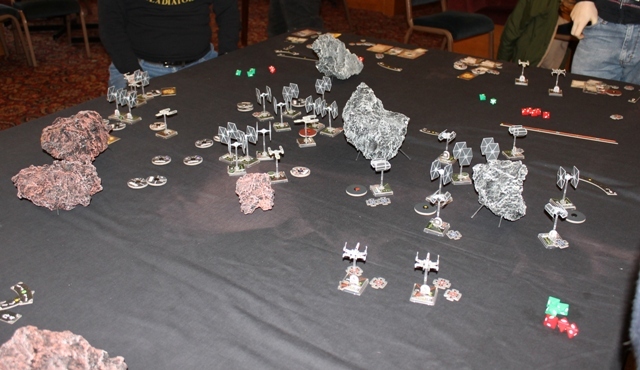 We ended up with Approximately 400 points each of rebels and Imperial. With each player running around 100 points. 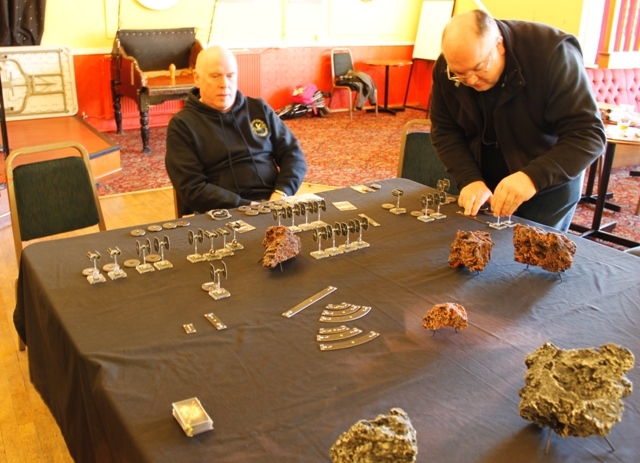 Here the Imperials (Darth Terry and Darth Steve) are lining up to crush the rebellion. And the Opposing Rebels fight for freedom. 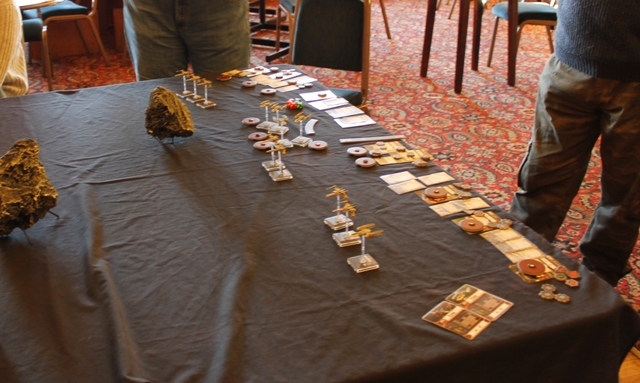 Set up too quite a while this is the line up about 70% through assembling of fleets. 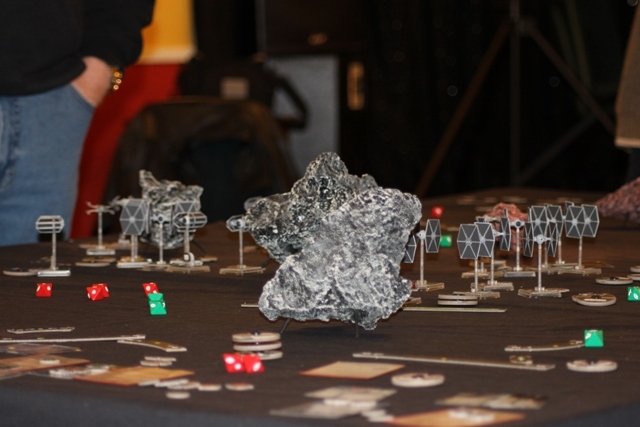 The game was interesting as before x-wing games have been small affairs and its interesting to try a big game. 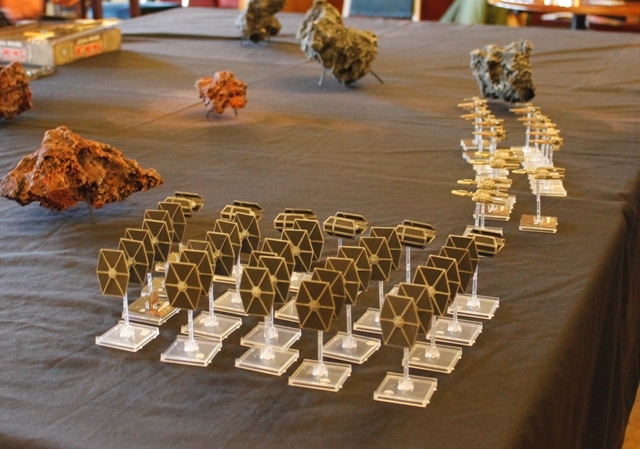 My thoughts are is that it flowed well even with 8 players though at large scale the numerical advantage of the cheaper Tie fighters does tend to overwhelm the rebels individually more powerful units.